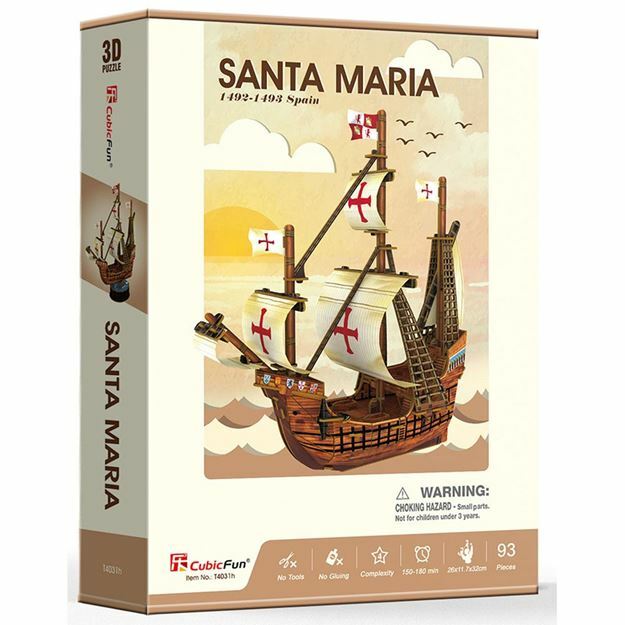 Santa Maria de la Inmaculada Concepci'on, or La Santa Maria originally La Gallega, was the largest of the three ships used by Christopher Columbus in his first voyage. Her master and owner was Juan de la Cosa. This 3D puzzle is made of paper and expandable polystyrene foam board, it is easy to assemble without the use of any tools or glue. No of Pieces: 93. Model size: 26cm x 11.7cm x 32cm. Age 5+ years.